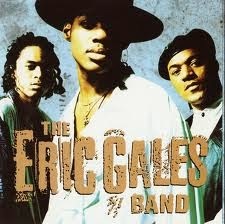 The Eric Gales Band released their debut album in 1991. Right around the time of the demise of 80's hard rock (read Hair Metal, if you prefer) and the rise of grunge. They are neither and got lost in the shuffle. Brothers Eric (guitar) and Eugene Gales (bass and vocals) along with longtime family friend Hubert Crawford on drums released an album full of bluesy hard rock. I don't remember much from the album except the song Sign of the Storm. How it never became huge is beyond me. One of the best songs ever. I'm a big proponent of live music. I love going to shows. Rarely have I been disappointed. While it may not be perfect, there is just something special about seeing a band perform their songs in a live setting. Some bands pull it off better than others. And right here, we veer off onto a rabbit trail. I'm talking about bands or artists with real backing bands who actually play the music they perform. Not lip synced, not sung to a backing track (although enhancements are forgiven for some stuff), but actual musicians playing actual music. Conversely, on very few occasions, there are artists who have a live show that totally blows away what they did in the studio. Don't misunderstand. There are a ton of artists who put on a great live show that is better than their studio work. But I'm talking about something that makes the studio offerings pointless. I found one. HAM. 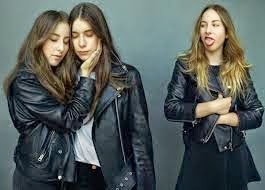 A band that takes their name from the surname of the three sisters in the band. I caught some of their set on AXStv from Coachella. They rocked. Smoking guitar licks. Rhythmically interesting. And Este's "bass faces". I was excited to check out more from them. Upon listening to the studio stuff, I was more than disappointed. It was nothing like the live show. Subdued, overproduced, uninspired shclock. But unleashed on stage, they come alive. I realize this is personal taste, but I will give you the following examples. I also would go see them live. But would not purchase the album. Eric Church, Dwight Yoakam and......Halestorm? I'm not a huge Eric Church fan. However, I don't dislike his music. In fact, some of it I quite like. 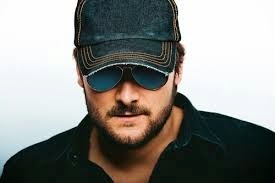 Eric Church has released tour dates, along with opening acts/special guests. It is interesting enough that the entire tour will be with Dwight Yoakam. Props to the Eric Church camp on this pairing. But what is even more curious is the opening special guests. Part of the tour will feature Brandy Clark. She deserves it. Very talented. Traditional-like country. Female artist. (And we could discuss the dearth of female artists on country music radio all day, but not here, not now). Part of the tour will include the Brothers Osborne. I'm not familiar with them, but from what I've read, they are good. The last leg of the tour intrigues me the most. The special guest/opening act is Halestorm. If you're not familiar with Halestorm, they won the most recent Grammy for Hard Rock/Heavy Metal (although cool for them, the Grammy's are clueless). Here's a sample of their music. Before the total wasteland that country music became in 2013 and early 2014 with all the auto-tuned, vapid, hick-hop bro-country, devoid of anything of substance or female voices, country was much closer to classic rock and 80's hair metal than anything else. I actually think this is a good pairing and would love to attend a show, if for nothing else than to judge the reaction. 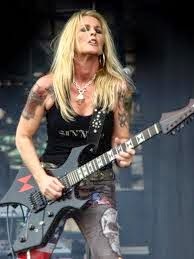 Lita Ford was a member of the iconic all-girl band The Runaways along with Joan Jett and Cherie Currie.. She enjoyed a fair amount of success in the Hair Band era with moderate hits "Kiss Me Deadly" and "Shot of Poison" and here career was bolstered by "Close Your Eyes Forever", a duet with Ozzy Osbourne. I've always felt Lita was underrated as a vocalist and not given anywhere near the credit she deserves as a guitarist. Always over shadowed by Joan Jett, Lita managed to carve out a very nice career. Lita definitely knew how to play up the glam fantasy as the following video will attest. That may have led somewhat to her being overlooked as a serious guitarist/musician. But you can't deny the heartfelt passion is this next song, released in 2013. There's a backstory there, but I won't go into it. If you're here, you know how to run the google machine.